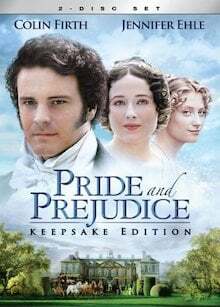 If you’re the kind of Jane Austen fan who reads Pride and Prejudice every year or two, chances are good that you’ve seen at least one of its miniseries or film adaptations. Considering the unabated reverence for this novel, it’s somewhat surprising that there haven’t been more. For many devotees, there can never be Too Much Jane. 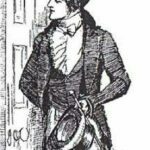 In addition to the miniseries and film adaptations of Pride and Prejudice listed here, there was also a 1967 British TV adaptation which seems to have been lost to time. Which of these have you seen? Which do you think is most faithful to the original spirit of the novel? How do you encapsulate Pride and Prejudice in a 2-hour film? The 2005 version starring Kiera Knightley as Elizabeth and Matthew Macfayden as Darcy manages to do just that. It was a collaboration between British and American film production companies. Ms. Knightly does good work, though for me, she’s a bit too distinctive for the role — my preference is for an unknown. Evidently, I’m in the minority, as 5-star viewer ratings, at least on Amazon, are the rule. It’s hard to believe, but this was and continues to be only the second movie version of P & P (not counting the miniseries) since the 1940 Hollywood film. The 1995 BBC/A&E production is considered by many the definitive adaptation, though those of us who prefer the 1980 BBC miniseries might argue with this. 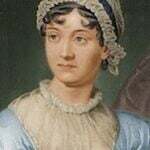 Jane Austen aficionados might not particularly like it has come to be defined by Colin Firth in a wet shirt, because it has much more than this in its favor. Jennifer Ehle is a splendid Elizabeth, and the cast of actors brings all the beloved characters to life. This 6-part miniseries is packed with period detail, including the lush English countryside and plush English manses. This excellent 5-part 1980 BBC adaptation is my personal favorite. 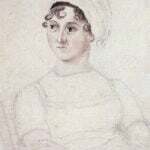 It features a delightful portrayal of Elizabeth Bennet by a namesake, British actress Elizabeth Garvie. The pace and dialogue were beautifully captured in the screenplay by British author Fay Weldon. 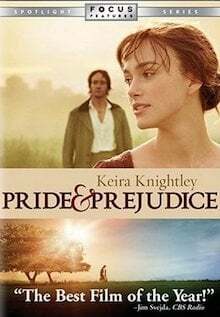 I’d argue that this is the most faithful and respectful adaptation of Pride and Prejudice. 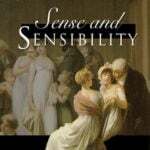 Perhaps it has been eclipsed by the 1995 miniseries, not only due to its fresher date, but that David Rintoul’s portrayal of Darcy wasn’t quite as smoldering as that of Colin Firth’s. 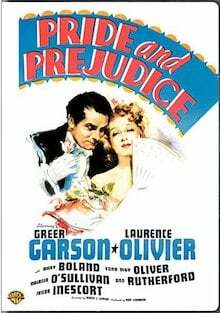 The 1940 adaptation from the golden age of the Hollywood studio era stars Greer Garson as Elizabeth Bennett and Laurence Olivier as Darcy. As is to be expected, the studio heads altered much about the original so that this black-and-white film would be more glitzy. It was set in a later period, for example, and some of the plot lines were altered. Still, the reception by critics and the public alike was positive. 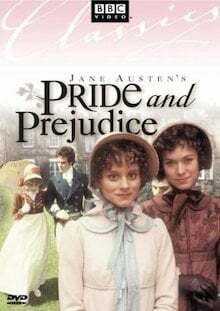 Today, it might be viewed far more as a novelty than as another means to enjoy the iconic story of Pride and Prejudice. It’s not readily available to buy or stream, but you might check your public library system. 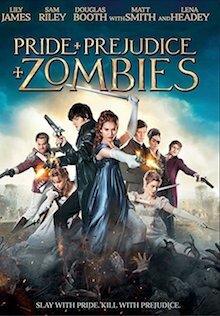 If you want to go further afield we dare not call Pride and Prejudice and Zombies (2016) an adaptation of the original P & P. Rather, it’s an outgrowth of the 2009 book of the same title. 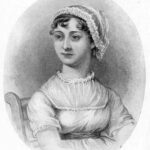 It’s safe to say that this is the most bizarre piece of Jane Austen fan fiction ever. In this reimagining, our heroine Elizabeth Bennett is a martial arts expert, and Mr. Darcy is a ferocious zombie. Together, they set our to vanquish the undead.